The new year has arrived but Real Madrid doesn't seem to have changed much the game script, at least when comparing to what we've been used to see over the last months. The Merengues hosted Real Sociedad at the Santiago Bernabéu and pulled off a very tough win by 4-3, in a game where Adán got sent off around the 6th minute. Cristiano Ronaldo wore Real Madrid's captain armband in an official game for the first time in his career and scored a brace that helped putting his side in the path to victory. Thrilling match at the Santiago Bernabéu, with Real Madrid beating Real Sociedad by 4-3, after being forced to play most of the game with only 10 men. Real Madrid's usual substitute goalkeeper Adán, got his second straight start in La Liga after his debut against Malaga in last December. However, the unfortunate "Canterano" was shown a direct red card with only 6 minutes played in the first half, after fouling an opponent inside the penalty area, and which led to Iker Casillas coming in shortly after. From that point onwards, Real Madrid struggled to dominate midfield and only a vintage Cristiano Ronaldo managed to rescue the Merengues from another slip in the league, as he added another brace to his goal tally this season. The FIFA Balon d'Or ceremony will be held in Zurich tomorrow (January 7), but at this stage, there's not much hope in any positive outcome for the Portuguese superstar, given the favoritism from Barcelona's ace, Lionel Messi. 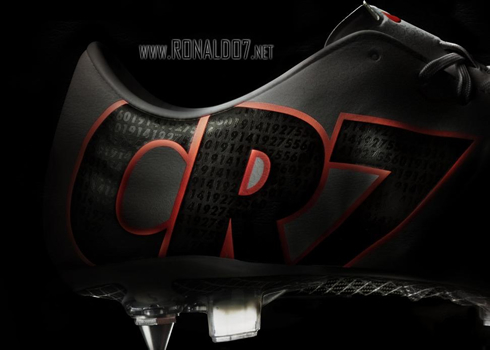 This Sunday night, Ronaldo also took the opportunity to premier his new football boots, the Nike CR Mercurial IX cleats. There are no mitre footballs being used in the Spanish League, but it would surely be interesting to see how Ronaldo would adapt to other footballs, different from the traditional ones from Nike. 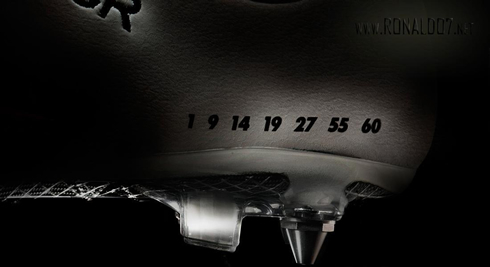 This new football boots model intends to celebrate several landmarks regarding Ronaldo accomplishments in 2012, and they have imprinted a serie of numbers with particular meanings for each one of them. 1 (La Liga title won in 2012), 9 (the goals scored for Portugal in 2012), 14 (the games played for Portugal in 2012), 19 (different teams against which Ronaldo scored in La Liga 2011-2012), 27 (Ronaldo's age), 55 (the number of games with Real Madrid last season, in all competitions), 60 (amount of goals scored in all competitions, in 2011-2012). 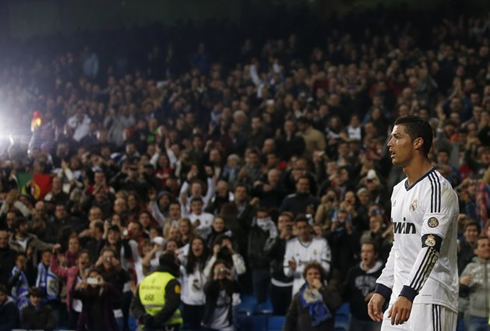 Not even 90 seconds were needed for Real Madrid to score their first goal in 2013. Sami Khedira picked a pass coming from the left, spotted Benzema escaping unmarked just in front of him and assisted the Frenchman for a far too easy goal. For a few moments, it didn't seem this game could get very complicated, but the truth is that the scenario would drastically change a few minutes later. Four minutes after Benzema goal, the visitors reacted and got the equaliser from the 12 yards mark. An error from Ricardo Carvalho allowed Real Sociedad's Mexican forward Carlos Vela, to go into a 1-on-1 situation with Adán, on which the former Arsenal striker decided to dribble the Merengues goalkeeper. Adán went to the ground in a first to attempt to block the shot, but got tricked and ended up clipping Vela's foot. A penalty-kick was immediatly awarded to the visitors' side and Adán got sent off, forcing Iker Casillas to come over and play the rest of the game. With 10 men on the pitch, Real Sociedad's game plan for last night didn't change much, but it certainly became a lot easier. Real Madrid couldn't dominate midfield anymore (44% vs 56% at the end of the game) and what could have been an easy and calm night to kickoff things in the new year, turned into another tough battle to assure the 3 points, as seen in numerous occasions throughout this season so far. It would be Real Madrid the side who managed to regain the lead still during the first half though... With 35 minutes on the clock, Mesut Ozil took a corner-kick on the right, saw the ball rebounding to Ricardo Carvalho and the Portuguese defender controlled it on the chest just before attempting to strike it towards Bravo's direction. Sami Khedira realized the shot had been a bit weak and was going wide, so he slightly deflected it, sending the ball in and making it 2-1 in the scoreline. The visitors would reach a new equaliser still before the break and once again, thanks to their number 10, Xabi Prieto. Carlos Vela saw his shot being deflected on Ricardo Carvalho's legs, but the ball was left precisely for Xabi Prieto, who controlled it and sent it past an helpless Iker Casillas. Everything got back at square one just like that, and Real Madrid would have to go chasing a new lead during the second half. After the half-time, Real Madrid needed someone to step up and it was naturally Cristiano Ronaldo who showed up in the game and restored the lead once again. It all started in a great interception by Ricardo Carvalho still on his own team's half, who then quickly passed the ball to Karim Benzema, for the French striker to lob it over a defender and granting Ronaldo with several meters ahead of him to explore with his fast pace. The Portuguese forward seized the opportunity to hit it into the back of the net and the home side found themselves in front for the third time in the night. As for tomorrow's FIFA Balon d'Or ceremony, it doesn't seem like the trophy will get away from Lionel Messi's hands anymore, but let's hope that Ronaldo has the opportunity to prove on the pitch, how unfair this decision might end up being. He'll have a great chance for that in one of the biggest games of the season scheduled for February 13, in an always exciting Real Madrid vs Manchester United super clash, at the Santiago Bernabéu. 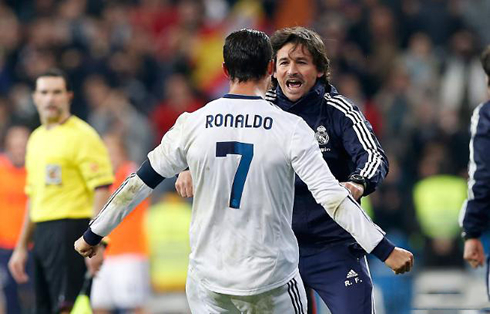 Nothing would please Ronaldo more (not even winning the FIFA Balon d'Or award!) than a high level performance against his former club and delivering the 10th UEFA Champions League to Real Madrid in May. 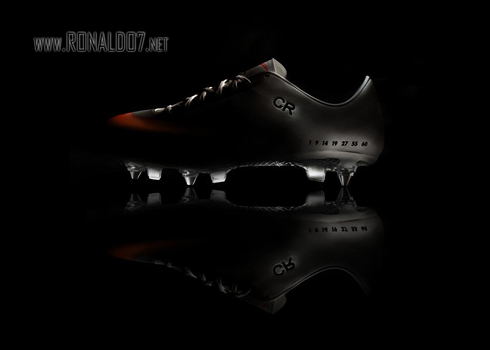 You can read more on Ronaldo and football in general, at the "The Sport Review" news portal. 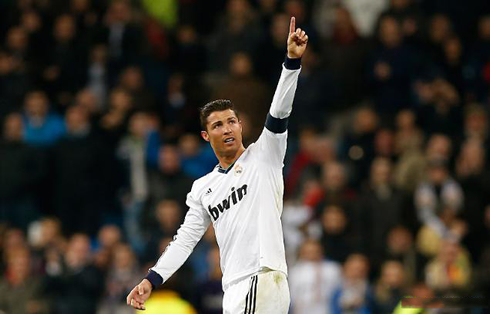 Cristiano Ronaldo next game for Real Madrid will be against Celta de Vigo, for the Spanish Copa del Rey, on January 9, 2013. You can watch Juventus live stream, Real Madrid vs Celta de Vigo, Barcelona vs Cordoba, Manchester United vs Liverpool and Arsenal vs Manchester City, all matches provided from our football live streaming section.